“They started staring at me weirdly and asked ‘Are you Muslim?’” This is part of the story of sophomore Blerta Lika, who is a mathematics major at Calvin College. She is also a Muslim. Lika was one of five students who spoke at the Religious Minority Students on a Christian Campus Panel Discussion. 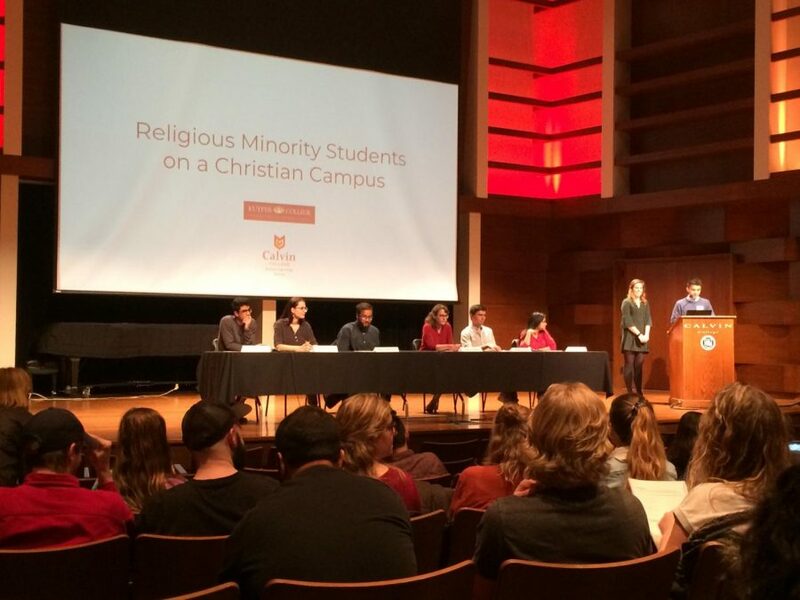 The event, which took place Tuesday, November 4, was organized jointly by Calvin College Interfaith and Kuyper College, with the goal of educating Calvin students about the experiences of their non-Christian peers. 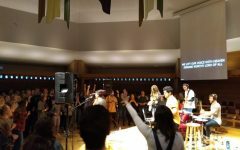 The event drew a crowd of 120 people, which is a record-breaking turnout for a Calvin College Interfaith event. Sophomore Tuba Jaherun, another panelist, spoke about the difficulties of observing her Muslim faith while at Calvin, saying, “Food is hard for me here because I can’t eat all kinds of meat.” She later added that it’s hard to fit prayer into her daily schedule because of classes. This sentiment was echoed by another Muslim student, Samiur Rahman, class of 2020. “Halal meat is expensive,” Rahman pointed out. The students also talked about the challenges in the classroom. Panelist Danish Ansari, class of 2021, who is a biology major from Nepal, talked about the difficulties that “answer this from a Christian perspective” test questions present. 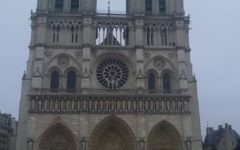 “When I asked him about it, the professor said ‘just assume you are a Christian and answer it that way,’” said Ansari. Another facet of his Calvin experience was that people asked if he would ever convert to Christianity. Koster said that during class discussions some students seemed to assume that if a person is not a Christian, then they do not have morals. The panelists also recognized positive aspects of their Calvin experiences. “I didn’t feel like I was excluded because of my race or religion,” Rahman said. Koster spoke warmly of the faculty. “I love my professors — they are the best part of Calvin,” she said. The panel moderator Manato Jansen, who is Calvin’s Interfaith Coordinator, shared about the mission of Calvin College Interfaith: “Our goal at Calvin is for people of different religious, spiritual and secular traditions to better understand each other.” He also noted that Calvin is home to even more religious diversity than the panel showcased, as students who are Jewish, Hindu, Buddhist and of other religions also attend Calvin. During the question and answer time, the panel members replied to a member of the audience who asked how Christian students can be more accepting to those of other religions. “Don’t make someone feel less than you because they are different,” said Jaherun.